Can you describe your role @ IBM? What does it mean to be the “Social Media Recruitment & Branding Leader”? 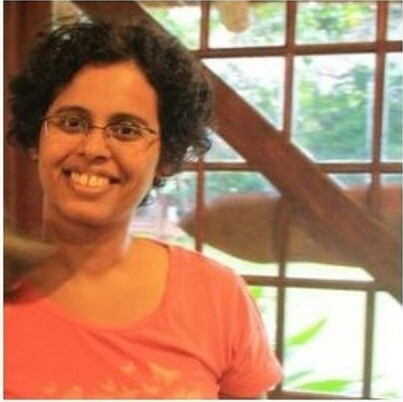 In my current role, my focus is to integrate social media into the India recruitment strategy. Adopting newer and agile ways to connect with passive talent , leveraging social networking platforms like LinkedIn for engaging candidates with niche skills for critical/ leadership roles, and branding IBM India recruitment on social media. Overall, the aim is weaving social and new age & agile recruiting methodologies to improve candidate reach – engagement and experience. On an on-going basis I am involved in multiple initiatives towards strengthening our sourcing capabilities for strategic skills & leadership roles, hiring accelerator programs, leveraging social networks and conceptualizing, designing & implementing social campaigns. What are the key drivers behind IBM’s use of social media as a recruitment channel? Social Media is the best channel to engage with a large target audience – right from university students to professional candidates. We leverage LinkedIn , Facebook , Twitter based on the target audience. We also leverage the social media power of our employees to strengthen our Referral Program. IBM‘s Social Referral Tool allows IBMers to share their personal links on social networks and allow their friends and families to apply for positions. We are now focusing on mobile recruitment. Can you tell us about any recent recruitment initiative that included a social media component? 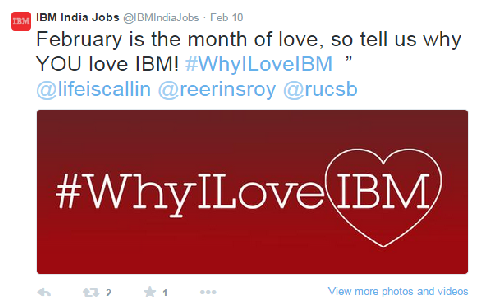 In the month of February we launched a cool global campaign where IBMers all over the globe were sharing #WhyILoveIBM on Twitter & Facebook! #IBMIQ was an interactive quiz campaign on Facebook to engage University students. The campaign aimed at updating university students about IBM facts & knowledge and covered topics on IBM General Overview, Cloud, Analytics, Mobile, Social & Security. #RefertoIBM was a recent campaign to showcase IBM India employees who have helped the India recruitment team hire some great candidates by referring them to IBM. What measures do you take to reduce cost per hire? Please give one such example. There is an increasing focus on leveraging online (job boards) & social networking channels ( such as LinkedIn ) to build the native sourcing capabilities of the recruitment teams across the globe. The employee referral program is the other important channel. Can you tell us about the work culture @ IBM? What are the qualities you look for in a potential employee? IBM has a performance-based culture that talented people find very attractive. Employees share a sense of community and work in an environment that values intelligence and innovation. At IBM we respect and value diversity among employees. Business activities such as hiring, promotion, and compensation of employees, are conducted without regard to race, color, religion, gender, gender identity or expression, sexual orientation, national origin, genetics, disability, age or caste. You would know that IBM is well known in the industry for its focus on work life balance for employees. Not surprisingly for the nineteenth year in succession IBM was featured in the ‘best companies’ list of various magazines, including Working Mother. At IBM, a mobile work environment allows employees the ability to enhance their effectiveness by providing tools to use at any location, be it a customer office, airport, IBM mobility workstations or home. What advice would you give to organizations that are beginning to map their social media recruitment strategy? Social Media can be leveraged effectively by organizations for effective engagement with its audiences – customers & candidates ; building a great brand visibility and social listening . The ability to make bottom line contributions to the growth of the organization. A piece of advice for someone considering a career in HR. Start with the right organization and aim at a long- term career. How do you keep up with the latest HR news, industry trends? LinkedIn , Online groups & forums, Networking – online & Face to face – I keep time every day to read and keep my self updated with the latest happenings.